meet our 2017-18 ELLA Fellows! Black Youth for Change (BY4C) exists to foster community between high school freshman in white, elite educational spaces through creating a sense of belonging, learning about how to retain their identity in the face of challenging environments, and creating inclusivity within their schools. Osariemen is a senior at Brooklyn Technical High School. She is an honors student and an avid member of her school community. She is also a member of Brooklyn Tech’s step team: Lady Dragons. Along with performing arts, Osariemen is also a member of her school’s racial sensitivity training partnership with NYU. As president of Black Student Union, Osariemen dedicates her time towards issues that affect black students within Tech, through weekly meetings and organized protests with fellow members. Outside of Tech, Osa uses her voice and platform as a mentor to be transformative and impactful in the lives of her F.O.C.U.S. mentees- a volunteering program catered towards black youth in the Canarsie area. "One size don’t fit all" is a safe space for young immigrant women of color in South Orange and Maplewood, NJ ranging from ages 14 to 18. The project believes that young immigrant women of color should be able to feel comfortable and have an equal chance to excel in various public spaces, specifically high schools, without being subjected to discrimination in the form of microaggressions, verbal, physical or cyber. ‘One size don’t fit all’ will consist of a series of workshops that use discussion, art and community building as tools to combat discrimination of immigrants. It is for these young women to build a strong, close-knit community and to be able to call awareness to and have discussions centered around root causes of discrimination of young immigrant women of color. Georgina Duker is a final year student at Columbia High School in South Orange/Maplewood. 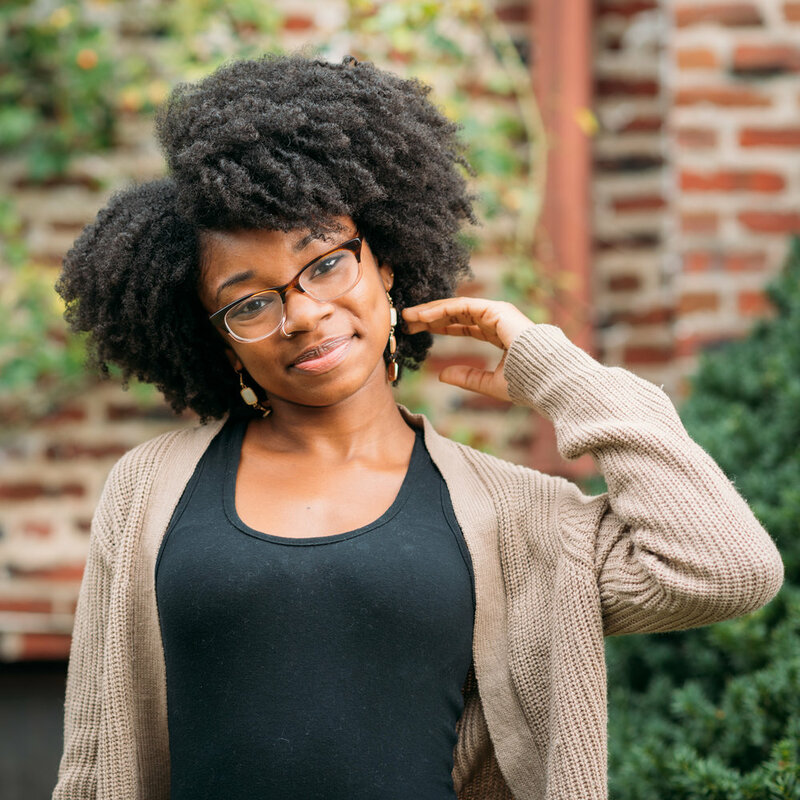 Throughout high school, she has been influenced by Sadie Nash towards social justice work. As a young African, she is particularly interested in working against any injustices that young immigrant women of color face, as well as marginalized groups in general. She hopes to start this journey in her high school. Dancing Sentences aims to provide an emotional processing outlet and exploration of identity through the style of hip-hop dance and other movement practices for young people of color who have been indirectly impacted by the U.S. criminal justice system. Through discussion, we examine the various factors that contribute to the systematic incarceration of black and brown people and its impact on our communal and personal lives. Through dance, we share our stories, create a community of healing, and find self-liberation. Dancing Sentences also welcomes any art form participants would like to bring to the space to further express their stories. Diamond Walker is a proud born and raised Black woman from the Bronx. She is a graduate of Bowdoin College, class of 2017 and is interested in pursuing a career as a therapist/change maker in the juvenile justice field. At a young age, Diamond discovered the healing powers of dance and is determined to bring the concept of dance as a form of therapy to Black and Brown spaces that may not correlate the two. I’m Taking My Body Back is a series of workshops that teaches young girls about reproductive health and self-care through the practice of poetry. It envisions a world where girls find sexual reproductive health vital and practice this self-care by claiming ownership of themselves through the power of words. Emily Ramirez was born and raised in Brooklyn, NY. She is a recent graduate of SUNY Geneseo with a B.A. in creative writing and comparative literature. 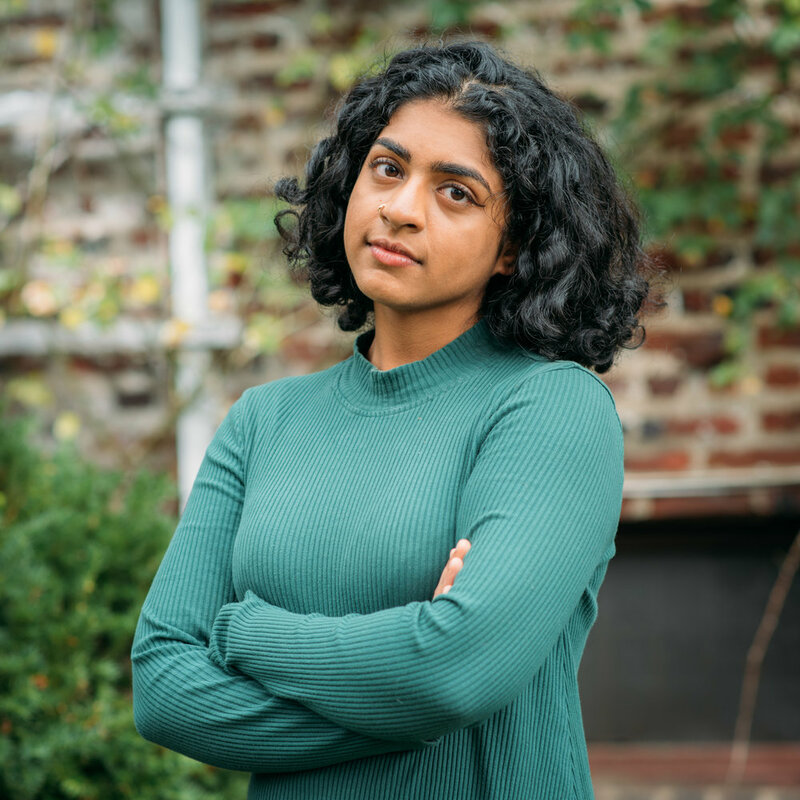 She currently works as the Digital Media Associate at NYC's local Planned Parenthood and also writes poetry and essays that speak the narratives of her life. It is through writing that she forms her thoughts and feelings. Her wish is to incite dialogue about reproductive justice that addresses the issues of why the girls are forgotten while teaching them the language and resources available to preserver. Fatima Dizon is a queer, non-binary mixed Black Filipina who was born and raised in Harlem. She is an artistic healer and social justice activist. She uses her skills and knowledge to uplift her own wellbeing, as well as inspiring those around her to start or continue moving forward on their own healing journey. She believes that spiritual, emotional and physical healing is a radical art form. She heals through many mediums like writing, drawing and dancing. She consistently encourages others to find their own artistic flow. She believes in the power of our words, love and food! Fight Back Community Network: LA centers around providing various communities, including the Muslim community at large, with the resources and means to combat surveillance and criminalization programs and policies. In partnership with a few organizations--including Palestinian Youth Movement--who have been working against various iterations of such policies, Fight Back is a coalition that seeks to establish a community based, self-sustainable response system as an alternative to law enforcement. It aims to terminate Muslim communities, organizations, and student groups’ collaborations with law enforcement throughout Los Angeles. The coalition is centered around building strong relationships between all communities affected by law enforcement surveillance, violence, policing and securitization, by connecting such communities to one another. Celine is a 22 year old Palestinian currently residing on Occupied Acjachemen and Tongva land in Southern California. She is a dedicated member of the Palestinian Youth Movement, a transnational grassroots organization that is movement-based, anti-colonial, and liberationist. She is largely inspired by her parents, who dedicate their lives selflessly to supporting their families and to supporting one another. When she isn't working on projects or campaigns, her favorite thing to do is sleep and watch Netflix. The Poughkeepsie Mural Project is a public art project designed to take back the space we inhabit through a series of murals that remind us of the abundance and power we have to create our own communities deliberately. The aim of the Poughkeepsie Mural Project is to create agency in the community by affirming the beauty and strength of our identities. The Poughkeepsie Mural Project is born from the theory of abundance—that the people already have everything they need to thrive. Yold Delius is a junior Africana Studies Major at Vassar College. She is a child of Haitian immigrants from Orlando, Florida. When she isn't singing along to Bossa Nova classics, she is probably dancing, creating artwork, or not doing her homework. You can catch her at the hair store buying lipsticks she doesn't need and deep conditioners she already has. Dreams over Fear exists to civically engage undocumented students in a way that empowers them to embrace their undocumented identity and resist the unjust immigration system. We aim to challenge the “Dreamer” Narrative, raise awareness on undocumented issues, and create a network of undocumented students for the purpose of sharing resources and empowering each other. Rosa Vazquez is currently a sophomore at Harvard University studying government. She was born in Mexico and raised in Santa Ana, CA. She is an undocumented student and is extremely passionate about issues that the undocumented community faces in this country. Nashville's Daughters will explore the deep historical context of Nashville, TN in social movements to inspire and equip young women of color to engage in meaningful social action. Workshops will engage participants through art, mentorship, Social Emotional Learning, and a historically based social action lesson in an affirming environment that cultivates healing, siblinghood, and radical community building. Brittany T. Paschall is a radical liberator, ally, and friend. She is a native of Nashville and a recent graduate of Grand Canyon University. You will often find her organizing (people + things), reading something good, or traveling. Brittany is presently the Building Bridges Specialist at Oasis Center and a 2018 Teach for America Corps Member.